INCITE Youth is Force Majeure’s professional dance theatre program for students in years 10 to 12. The program has been developed by our Artistic Director, Danielle Micich, in consultation with education experts across NSW. 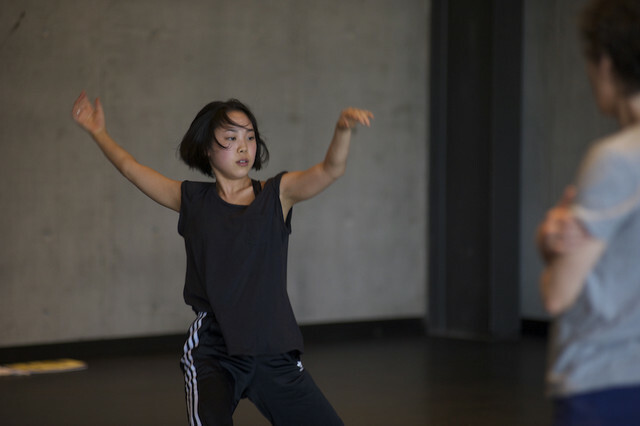 INCITE Youth offers a rare opportunity for students to work with one of Australia’s leading dance theatre organisations, creating professional pathways for young people into the dance industry. The program will run throughout the July 2019 school holidays, presented in partnership with Carriageworks and supported by Create NSW. After many years of experience as a maker, performer and mentor, Danielle Micich has spent the last four years developing an extensive industry-leading professional training program – INCITE. The program provides artists with the requisite tools to maintain their practice and hone their creation process as dance theatre makers. INCITE Youth is an exciting new addition to this program, providing HSC students the access industry standard training that directly links to their high school studies. Applications will be assessed on a creative writing task or video response. For the 2019 pilot year, we also invite teachers to encourage suitable students to apply. Apply below using the online form, or contact us for a paper form.